Sevilla progress to the top of La Liga in Week 13 as Valencia grab victory again, Villarreal defeat Real Betis and Athletic Bilbao dropped to the relegation zone. Alaves great start to the season was stopped by Leganes, who grabbed a 1-0 win at Butarque on Friday evening. Leganes had been showing signs of recovery before the international break, and Youssef En-Nesyri’s only goal extended their unbeaten run to four games. Valencia defeated Rayo Vallecano 3-0 on Saturday to make it back-to-back League victories for the first time in 2018-19. Santi Mina scored twice on Saturday, before Kevin Gameiro rounded off the result and Rayo Vallecano lost Luis Advincula to a late red card. Huesca wait for a win went on as they squandered the lead twice to draw 2-2 with Levante. Christian Rivera and Xabi Etxeita scored either side of half-time to put Huesca ahead, but Roger Marti and Emmanuel Boateng cancelled out both goals, leaving the new boys without a victory since the opening day. Athletic Bilbao played a 1-1 draw against Getafe, Peru Nolaskoain netted for Athletic Bilbao midway through the second half, but Getafe lived up to their plucky reputation, equalising through Jaime Mata 10 minutes later. 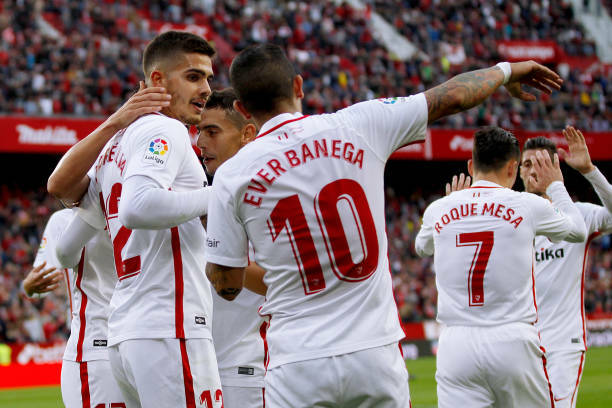 Sevilla took advantage of Barcelona’s draw with Atletico Madrid as they took first place with a 1-0 victory over Real Valladolid on Sunday.